Everybody has unneeded junk around the house. If you are interested in buying or selling items such as furniture, electronics, clothing, etc. and are living in Okinawa, the best way to deal with these items is through the classified ads. You may have just arrived in Okinawa and are looking for much needed items such as furniture or dishes. Or you may have been living in Okinawa for a while and realized you have amassed way too much “stuff” and want to clear some space. 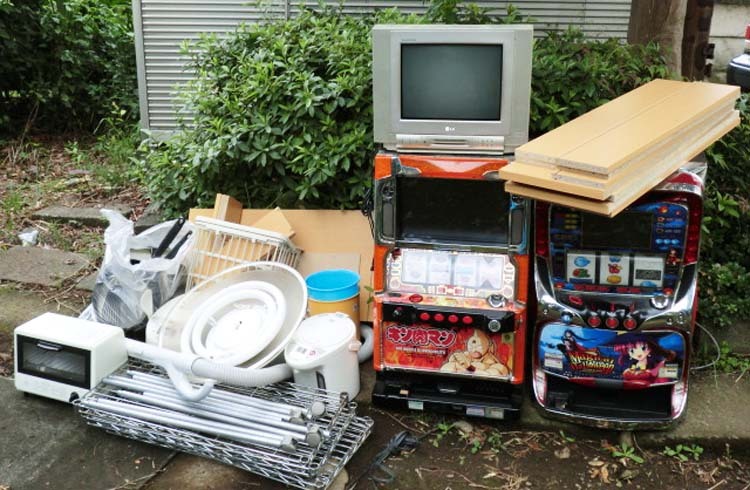 Luckily on Okinawa there are three major classified ad sites that connect the Okinawan community and facilitate buying, selling or trading items between residents. The best classified ads site is Connect Okinawa at www.connectokinawa.com. Connect Okinawa is a fairly new site that is very user friendly and functional. The best part is that it is completely free. It is free to register, free to place an ad, and free to even post a picture within the ad. The site allows you to post ads for buying/selling items, employment, volunteer opportunities, and even personal ads. This site is built specifically for ease of use on a mobile device. As more of the Okinawan community joins, this site is becoming more and more popular. Japan Update http://classifieds.japanupdate.com is another popular classified ads site. Japan Update is also a newspaper published weekly that users can view either online or in print. Along with offering the usual classified ads including buying/selling items, employment, etc., Japan Update also offers a service of translating your ad to Japanese for a nominal fee – this ad will also be printed in the weekly newspaper as well as the online site. The Japan Update newspaper has a longstanding readership with the English residents of Okinawa. Because of its longevity, the site is very busy and popular and you will most likely have success posting or responding to ads. The third classified site is called Bookoo www.bookoo.com and was created by ex-residents of Okinawa. You can join and post on this site for free, but a free membership only gives you limited access. A “Premier” account requires a membership fee of $8 USD per month. There is also an “Exclusive Club” where membership consists of sticking an “we heart bookoo.com” decal on your car, taking a picture of the decal every 6 months and sending it to the site, and paying $10 USD. This gives you a lifetime membership. This site is mostly frequented by local base residents who have a high turnover rate and are constantly buying and selling items as they arrive and leave the island. The site is closed on Sundays but open every other day of the week. An honorable mention goes to the very popular site, Craigslist http://okinawa.craigslist.jp , as it does have an Okinawan location. Craigslist Okinawa has a very active personals ad section so if you are looking for a partner it may be worth posting and browsing. Craigslist is popular amongst North Americans so Japanese readership may be less. Overall, Okinawa has some great options for different classified sites so that everyone on Okinawa has a place for the community to connect.